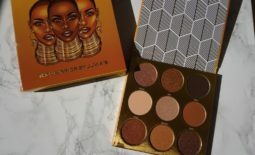 DDAAAMMMNNN Michelle back at it again with the BECCA products! I really cannot get enough of BECCA. I swear these posts aren’t sponsored but I wish they were I just really like their products! BECCA holla at ya girl! 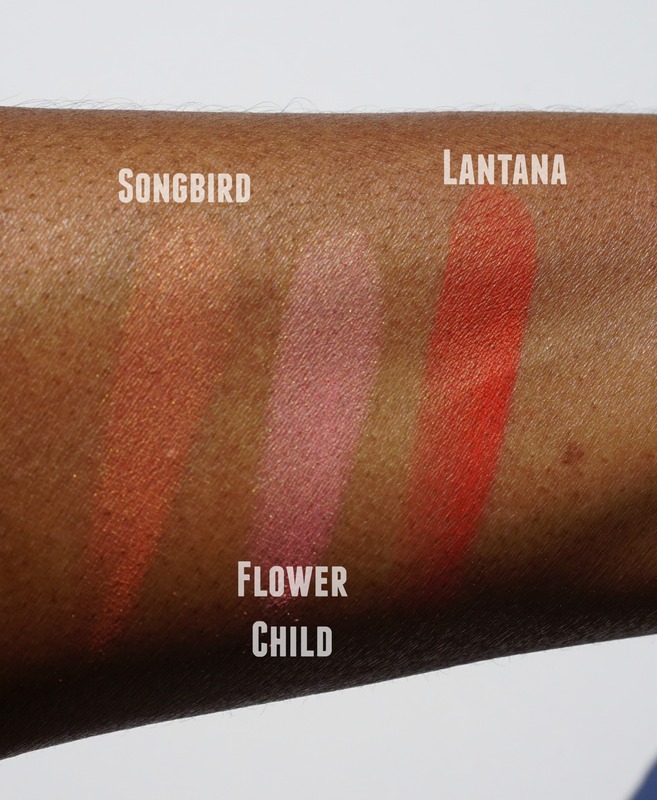 Today I’m bringing you a quick swatch and review of their Mineral Blushes in Songbird, Flowerchild and Lantana. Songbird is an orangey-peach with golden highlights. Flowerchild is a peachy pink with golden highlights. Lantana is a matte ultra poppy crimson. 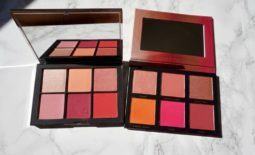 All of these blushes are very pigmented and really pop on brown skin tones. Use a light hand if you want a sheer wash or build it up if you want some really bold blush. 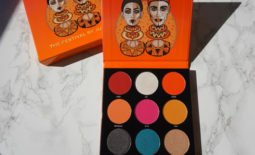 I love them all but Songbird and Lantana really have my heart, I’m a sucker for orange tones. The “golden highlights” that you can see in Songbird and Flowerchild translate really well onto the face and is not glittery at all. 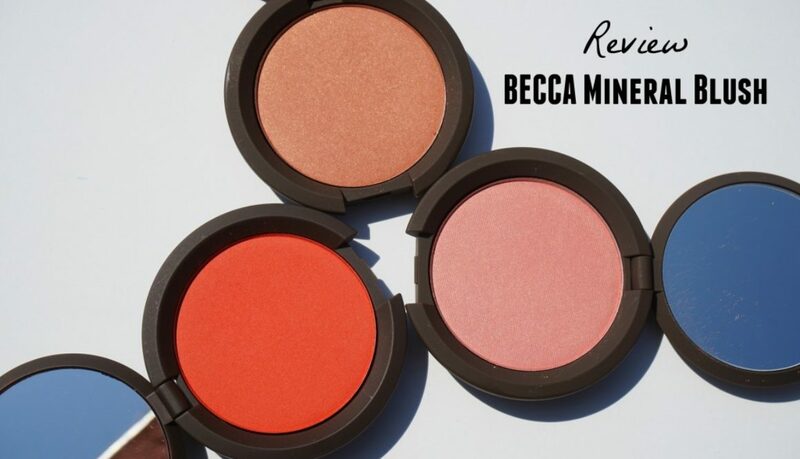 Every brown girl needs some BECCA blushes. BECCA recently released their Shimmering Skin Perfector Luminous Blushes collection which has more shimmer blushes than the Mineral Blush collection. 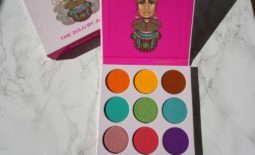 I picked up a few of those so keep checking back for swatches and reviews coming up.